For these brothers, business is a second language. Waylon and Jerrel Mathern are like any small-business owners: They know how important communication skills are. But the brothers have had to work harder than most to get their message across. They were born profoundly deaf, a term that means they’re unable to detect sound at all, and so have spent their lives reaching out in a hearing-impairment-unfriendly world. In succeeding, they’ve defied the odds: About 50 percent of deaf or hard-of-hearing people in the U.S. are unemployed, and another 20 percent are underemployed. The brothers first worked together as kids on a lawn-care business (financed by their grandfather), for seven years. After college, they entered different industries (business management for Waylon, recreation management for Jerrel) but always dreamed of teaming up again. Their mother helped make it happen by finding a franchise opportunity with Tailored Living, which installs custom closets and storage. 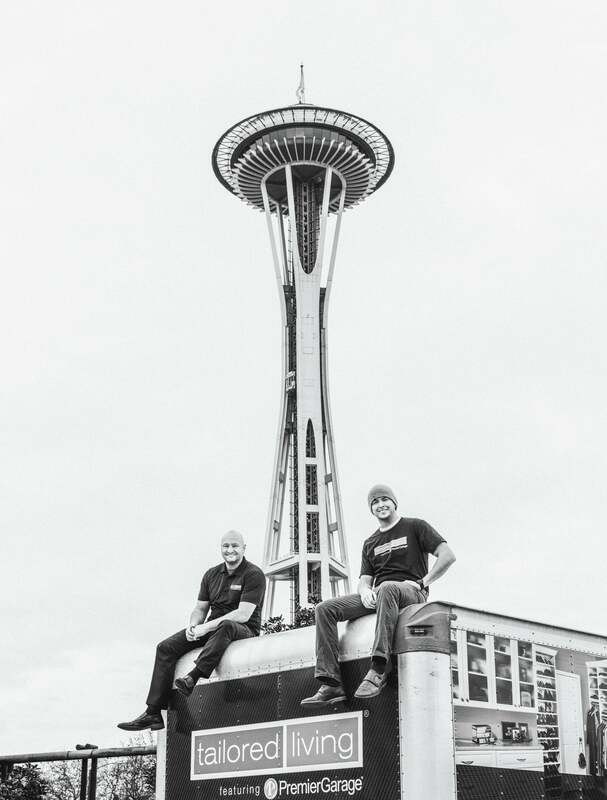 Now the brothers own the brand’s Seattle franchise, and they have a clear division of labor: Jerrel does floors, and Waylon is in charge of cabinets. How did you prep for ownership? Jerrel: I reached out to several financial advisers who are profoundly deaf to interview them about how they managed to overcome obstacles. I did the same with those who work at the corporate headquarters around here, including Starbucks, Amazon, Microsoft and Boeing. Never be afraid to ask if you can job shadow or become an apprentice, which can pay dividends down the road. Did you have to change or tweak the franchise concept to make it fit your needs? Waylon: The biggest change was to make it more accessible for us as deaf owners. For example, Convo Relay Service has provided a fantastic platform that enables us to communicate over the telephone using sign language, and we have an LED system that lights up to alert us when phone calls come in. Any advice for other deaf people who would like to open a business? Waylon: There are organizations out there providing seed funds. I participated in one where I invested $2,000 initially, and then an organization contributed $4,000. If you look hard enough, there are excellent resources available. Ask, ask and ask. When you get the funding and are also fortunate enough to hire staff, the key is to “find the right person for the right seat on the right bus,” which is a quote my mother repeated time and time again. Each employee we have has done more than we expected, which of course contributes to the bottom line. We couldn’t have done it without them. What do you value most in your employees? Waylon: While most employers value communication skills, we place emphasis on our staff’s ability to communicate well with our clients. It has made it much easier for us to communicate with our customers whenever needed without our deafness getting in the way. Jerrel: Our communication is more through emails, texts and forms of social media, but that’s not much different from any other type of business. Do you have a philosophy that drives you? Jerrel: We’re not happy until our customers are pleased with our installations and our level of customer service. We’ve seen other businesses that have tunnel vision on the bottom line instead of making sure their customers get quality results. Thomas Watson Sr., former CEO of IBM, once said, “To be successful, you have to have your heart in your business, and your business in your heart.” I find that to be so true.